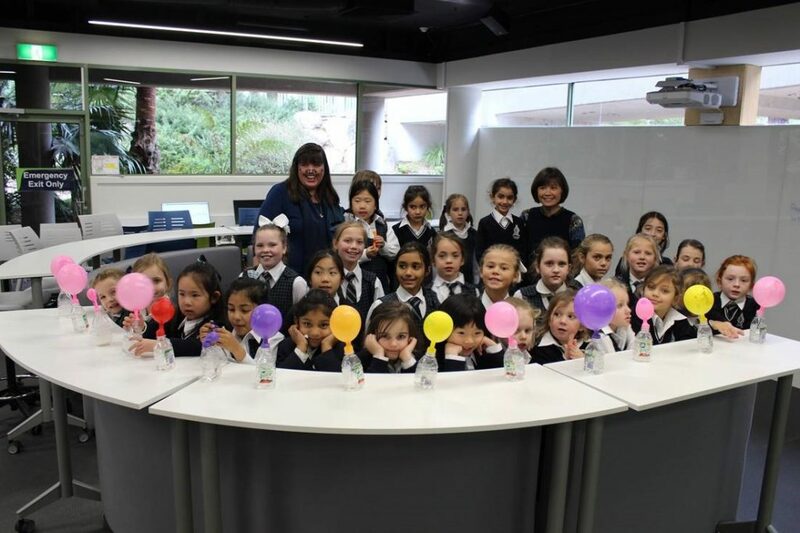 As part of our Prep/Year 3 Buddies program this term, we are exploring the worlds of Science, Technology, Engineering, The Arts and Mathematics further (STEAM). This week the Prep girls and their Year 3 buddies visited The STEAM Centre and worked on a Science activity as part of their Life Cycles Unit. After drawing a caterpillar on one side of a balloon and a butterfly on the opposite side, the girls added a tablespoon of bi-carb soda into their balloon and used a small funnel to pour some vinegar into a juice bottle, before sealing the top of the bottle with their balloon. 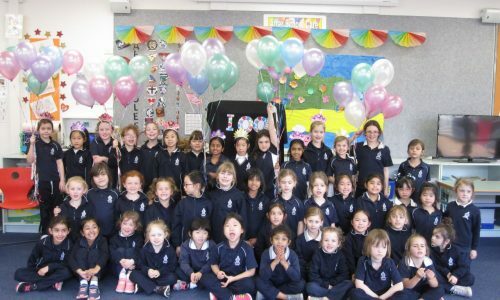 The girls watched with excitement as the bi-carb soda emptied out of their balloons, down into the vinegar solution. They carefully and excitedly observed bubbles and sizzling sounds inside the bottle and watched their balloons inflate to reveal an enlarged version of their caterpillar and butterfly. Group discussion after the experiment ensured that the Prep and Year 3 students had a clear understanding of what happened when the two ingredients mixed together and what was produced – a gas! The girls also talked about metamorphosis as their caterpillar ‘inflated’ into a butterfly. Our thanks to Mrs Sue Healey, Director of Information and Technology Services and The STEAM team, for their kind support. 100 Days of Learning Fun!! !